Pet & Dog friendly artificial grass that will save you time and money. 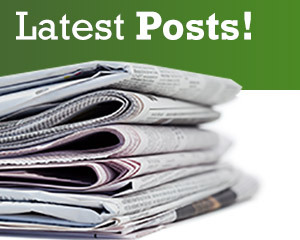 Latest Posts | Pet & Dog friendly artificial grass that will save you time and money. No need to worry frustratingly about how we spend all this money on our lawn and the dog ruins it in one mad dash around that manicured lawn! Quickgrass is a dog friendly artificial grass and will make your best four-legged friend happy and relaxed. As a dog owner, and talking to many of our customers who have taken the decision to install artificial grass, it does seem a NO Brainer not to have artificial grass in your garden. There are huge benefits fitting dog friendly artificial grass, not only for your pocket but also your Pet. This is the future for modern day gardening with pets. Let’s start with the simple typical day in your garden. First job of the day would be to let the dog out and start worrying about your costly lawn as your dog starts playing and barking. “what is he wrecking now” I hear you cry. 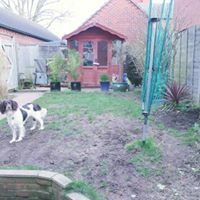 “Can my lawn cope with so much running and skidding around in ever decreasing circles churning up more mud more mess” Then there’s the money you just spent re- laying a traditional lawn to only last me 6 weeks. Then there’ s the care and attention as well as products you bought to maintain this little bit of green England. Just so you could eventually sit back in the summer months after having mowed it. Ah Mower, yes, the many problems that arise due to a mower and the expenses they incur. Then there’s the chance that you forgot to get the petrol and will have another trip of wasted time to queue up with the Saturday morning shoppers. After having mowed the lawn you will have the edges left to do, Name me one person who likes edges, and remember to water it later when the sun goes down. Also, don’t forget to watch out for the bare patches from my little four-legged friend that I’m trying to repair with wired obstacles I have invented to stop the little darling from going back to the original patch I have tried to repair from the week before. The list goes on and on. But then I do sit back and relax while enjoying a well-deserved cuppa, before it starts raining. Then you have the mad dash to get yourself and the dog inside not forgetting to wipe the dogs’ paws due to the mud. We do like to make hard work of things when the obvious is staring right at us. Artificial grass for dogs makes life so much easier. Wake up put the Deckchair up, put the kettle on, throw the ball for the little feller and enjoy some well-deserved chill out time with your best four-legged friend. And I hear you say what if he does do a little whoopsy in the garden! Then just pick it up dispose of it and wash down with water and a little mild detergent. If you dog does wee in an area, then use a little bicarbonate of soda as this breaks down the ammonia element and then wash down with hose to eliminate any odours. 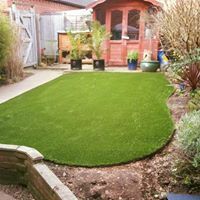 All we say is just make sure you have a good sub base before your grass is put down, please give us a call here at Quickgrass and we can talk you through the whole installation process to make your life, not to mention your best buddy a perfect partnership in your lush green back garden. For more information on our whole range, please go to our web site as we have prices to suit all levels and all of them pet friendly. Don’t forget to re-apply sun cream this summer as you will have so much time with your pooch.